At one point or another, you may have talked with your spouse, children, or friends about enjoying your golden years in a retirement community or assisted-living facility. In fact, you may even be prepared for when that day comes. However, more and more seniors (90 percent to be exact) are planning to remain in their homes and age in place, and you can, too. By assessing your current and future needs and making the necessary modifications, you can age gracefully from the comfort of your home. Put simply, aging in place refers to a senior’s choice to live in their current home, or a home of their choosing, as they age with the goal being to improve their quality of life. 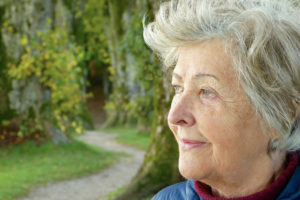 It is important to note that aging in place isn’t a decision to live completely independent. As you age, your vision, hearing, mobility, balance, and strength change, meaning you will have to depend on others whether that be home health aides, family, friends, or healthcare/support services. The key point is that you are able to receive help and support from the comfort of your own home. The choice is yours as to what assistance you need and when you need it, and what home modifications will best serve you. How you choose to age in place is a plan that you create and alter as your needs change. If your goal is to age in place, you must ensure that you are able to do it safely. Home modifications are meant to improve your quality of life, safety, and independence. As the person living in your home, you are more than aware of the areas you struggle in. For example, the bathroom is one room that many seniors have difficulty with. Adding grab bars in the shower/tub, installing nonslip flooring, raising the height of the toilet, and adding additional lighting are all great additions for a senior who has seen a decline in their mobility, strength, balance, and vision. Some modifications are universal, while others are specific to you. Perhaps you need to widen the doorways to accommodate a wheelchair or highlight the edges of countertops to avoid bumps and bruises. The National Association of Home Builders has a great list to check out that suggests possible modifications in every area of your home. Remaining in your home keeps your independence intact, but don’t let your quality of life suffer by not bringing in the proper help. You may be able to get around just fine in your home, but when it comes to home maintenance, yard work, and cleaning, you could use an extra set of hands. Perhaps you need someone to drive you to the grocery store, pharmacy, or doctor appointments. There are home health aides that can help with such activities or even just keep you company for an hour each week. Don’t be afraid to reach out to family, friends, and neighbors for help, or consider meeting with a geriatric care manager for assistance formulating a long-term care plan. All these suggestions to age in place sound great, but what if your current home just doesn’t fit the bill? Some seniors find that their current home is just too much house. There could be unused rooms, a second floor that is difficult to access, or too much time and energy spent trying to maintain it. Now might be the time to look for a smaller home that fits a downsized lifestyle. Check out the listings in your area to get an idea of what it might cost to buy a new home, and work with a real estate agent to find a home that you can age in and modify to work for you, not against you. The median list price for a home in Bridgewater, NJ, is $490,000. Aging in place is a great option for seniors who are able to carry out the activities of daily life without around-the-clock care. By modifying your home and requesting the right help, you can continue to live in your home and enjoy the comforts and familiarity that come with it. For all the independent seniors out there, aging in place is worth looking into.